Adobe is to hand over its Flex SDK, which lets you develop applications for the Flash runtime using XML and ActionScript code, to an open source foundation. The company is committing to HTML 5 as the “best technology for enterprise application development”, according to a statement issued on Friday, November 11 by two Adobe product managers. The news has caused consternation among Flex developers. “It feels as though Adobe is completely abandoning Flex, and ultimately Flash … My company has invested millions into committing to Flex for our enterprise applications and now I don’t know what to tell them.” says Erich Cervantez, senior Flex developer for a large chain of health clubs. After Adobe declared an end to mobile Flash development earlier last week, this may seem like more of the same, but it is not. Mobile Flash was killed by Steve Jobs as a plug-in for web browsers on smartphones and tablets, but Adobe has been busy reinventing Flash as a cross-platform runtime which you can package into applications on iOS, Android, and on desktop platforms. Flex is therefore capable of building applications both for Flash in the browser where available, and for standalone desktop and mobile apps. Developers use Flex in order to avoid browser compatibility issues, and because it is a capable client for data visualisation and multimedia. That said, it appears that the Spoon Foundation will not in fact be managing open source Flex. Instead, it is working with Adobe “to donate the Flex SDK to an established open source foundation,” according to a post on the Spoon site. Given that Adobe is contributing PhoneGap, a project it acquired by taking over Nitobi a couple of months back, to the Apache Foundation, it would be reasonable to assume that Flex is heading in the same direction if that can be made to work. Flex is more problematic than PhoneGap as an open source project, since it is an SDK for a proprietary runtime, and Adobe is not giving away its source code for the Flash Player itself. 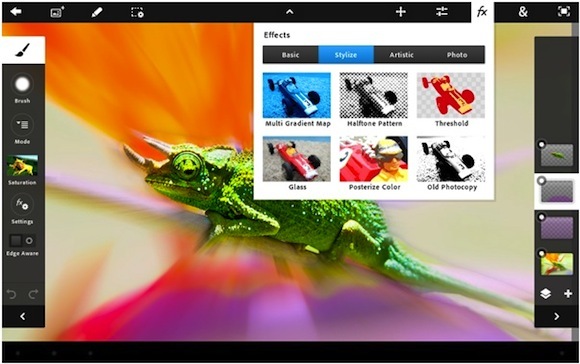 It further follows that Flex cannot succeed without strong contributions from Adobe itself, since only Adobe knows what new features are coming to the player. Adobe says it is still committed to Flex and still committed to Flash Builder, the Flex IDE based on Eclipse. If that is the case then placing the SDK under the control of an independent foundation might be a good thing for the technology, or it could be the beginning of the end as the company distances itself from the project. Adobe also implied, in a briefing to financial analysts, that it is reducing its investment in LiveCycle, recently renamed as the Digital Enterprise Platform, which includes middleware to support enterprise applications with data services, process management, forms processing and more. It is a major shift, and one which was not evident at Adobe’s MAX conference early last month. “We are an enterprise company that had seven of our developers at Max that came back with what we felt was a solid roadmap … now I sit here confused,” notes another Flex developer. Enterprises dislike sudden decisions, and dislike investing in platforms whose future is under threat. Adobe’s statements may be intended to signal a gradual shift in focus, but the effect is more dramatic, since as soon as a platform is perceived as a dead-end activity drops away fast. The confusion is reminiscent of what happened when Microsoft’s Bob Muglia declared at the end of 2010 that “our strategy with Silverlight has shifted.” From that moment, developers knew that Silverlight no longer mattered to Microsoft outside the context of Windows Phone. Flash still matters to Adobe though. Flash components and dependencies are interwoven throughout the company’s product portfolio, and even its latest offerings, such as the new tablet apps for iPad and Android, are built on Flash.